This entry was posted in Cute, Humour, Video and tagged Cute Video of the Day on 6 March 2018 by bcarter3. I’ve been waiting for this for five years. “David Bowie is”, the Victoria and Albert Museum’s magnificent exhibition chronicling the life of Ziggy Stardust, has returned to North America. It opened at the Brooklyn Museum last Friday, and will run through 15 July 2018. I’ve already got my ticket. I saw “David Bowie is” in 2013, in Toronto, the first stop of what was to be a five-year, five-continent, 10-city tour. It ran at the Art Gallery of Ontario, and it was possibly the most brilliantly staged museum exhibition I’d ever seen. It was worthy of Bowie. 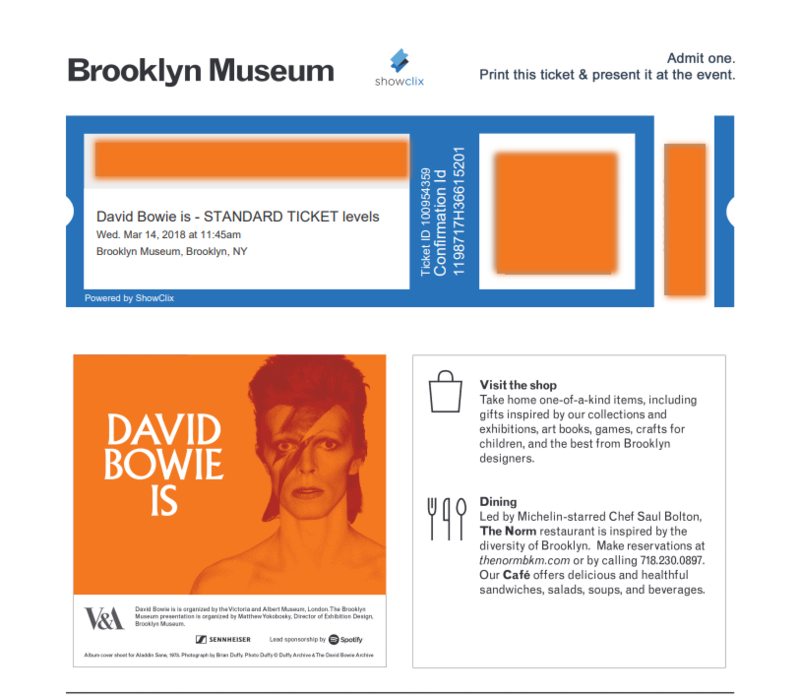 This entry was posted in Art, Coming Attractions, Design, Events, Fashion, Museums, Music, Performance Art, Photography, Technology, Video and tagged Brooklyn, David Bowie, David Bowie is on 6 March 2018 by bcarter3. Haven’t been posting much lately. Sorry. I blame it on sunspots, avocado toast, and Peak TV.